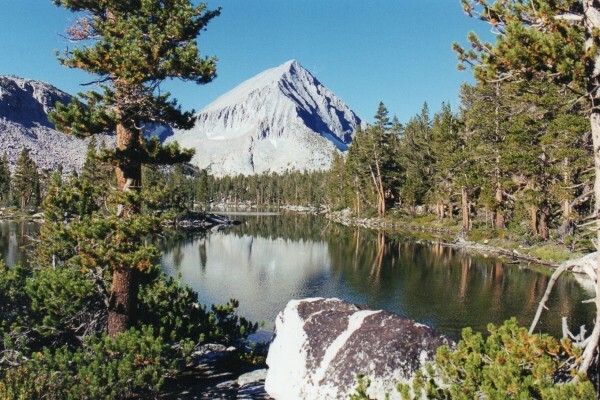 In 1987, while looking at a topographic map of Kings Canyon National Park, I noticed a small, unnamed lake north of Castle Domes and east of Window Peak near the Woods Creek crossing on the John Muir Trail (JMT). I made this off-trail lake the destination for my first hike of the season of 1987, which was planned as a two day out and back hike. A change in plans in mid hike prevented me from making it to the lake that year. While looking at a map after dinner near Woods Creek crossing, I noticed that if I were to turn south on the JMT instead of going north to the lake, I could make a loop out of the trip. So, I headed in that direction and camped a little shy of the Baxter Pass trail junction that evening. 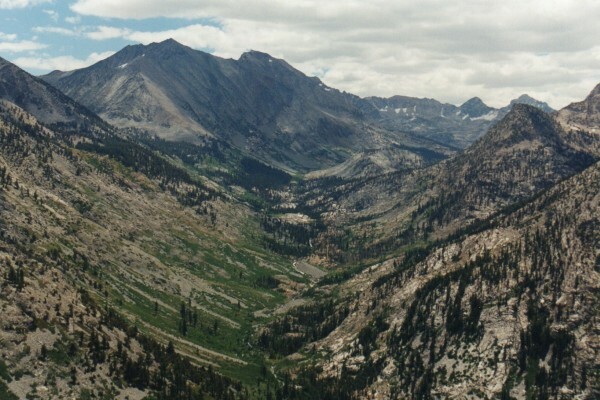 The next day, I completed the loop by passing through the Rae Lakes basin, climbing over Glen Pass, and descending down Bubbs Creek. 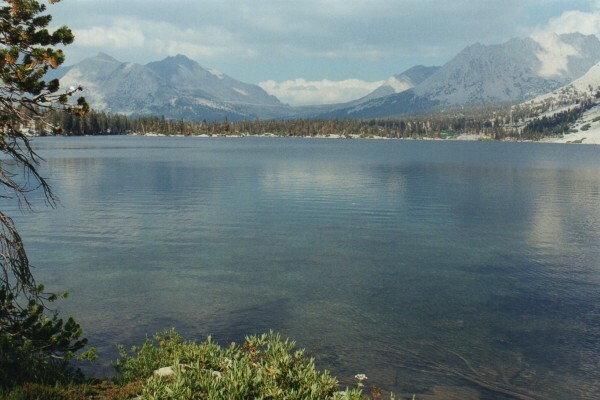 At the time, I didn't know that this hike was the classic Rae Lakes Loop. For the next ten or so years, the small lake continued to beckon. Finally I could resist no longer. This time my plans were for a more ambitious trip through the area. 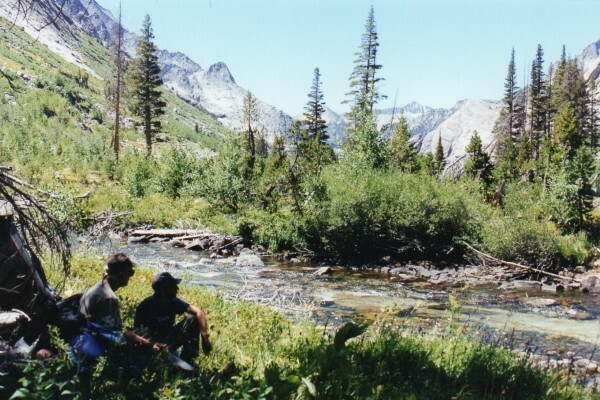 I would visit the lake, cross into the Arrow Creek drainage, do a little peak bagging, and return via Bench Lake and the valley of the South Fork of the Kings known by many as the Muro Blanco. I got a late start on the first day of the five-day trip. I forgot camera batteries so I had to do a little shopping. I was on the trail at a little after 10 that Monday morning. Mist Falls and Paradise Valley remained as attractive as ever. The trail from upper Paradise to the JMT held a few scenic surprises because I didn't remember it as well as the previous section of trail. 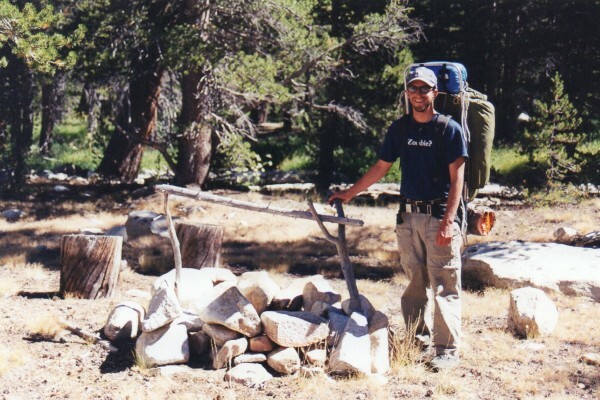 At around eight that evening, I arrived at the Woods Creek Bridge on the JMT after a pleasant day of hiking. The upper bear box at the camping area was stuffed full, so I drifted down to the lower box. There was room in it for my food and the people camped closest to it were very kind and helped me find a campsite in the dusk. I noticed they had a llama, so as soon as I set up camp and put away my food, I returned to visit with them. To my surprise the llama packer was none other than bkpkher a.k.a. sierramel, a fellow member of the Sequoia Kings Canyon Hikers Club. 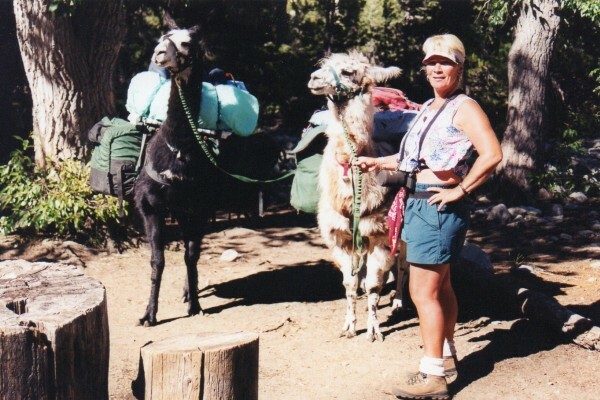 SierraMel and her llamas, Oreo and Larry - I got a chance to visit with llama packer SierraMel when we ran into each other at Woods Creek crossing on the John Muir Trail. We had a pleasant visited around the campfire that evening. It turned out I was the second club member she had seen on her trip. Earlier she had crossed paths with Jim Reilly. The next morning, Tuesday, photos of Mel and her llamas and me were taken and then we parted ways. 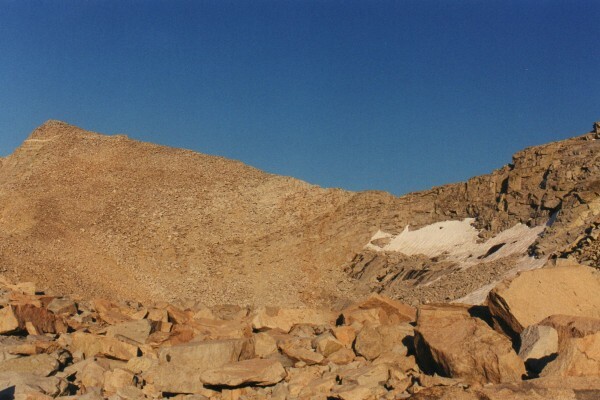 She headed south to Arrowhead Lake in the Rae Lakes area and I headed north on the JMT. It was another late start because I wanted to watch Mel pack the llamas. By 10:30, I had hiked the mile to the unnamed creek that I wanted to ascend. Cascades on Unnamed Creek north of Castle Domes - By staying to the north of the creek, I was able to avoid brush and steep rock. I also got great views of the lovely cascades of the creek. Soon, there was a fine view up the South Fork of Woods Creek. Up the South Fork of Woods Creek - As I ascended the creek toward Window Peak, there was an excellent view of the canyon of the South Fork of Woods Creek. The hike up was a little more demanding than I expected and I didn't reach the lake east of Window Peak (3240+) until about 1:30. Unnamed Lake north of Castle Domes and east of Window Peak - I didn't spend a lot of time here, but if you want solitude, this lake looks like a great place to stay. 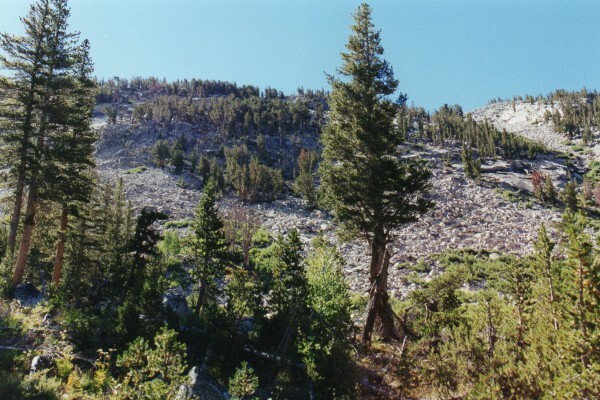 Trees thinned out above the lake and the steep ascent continued until I reached the unnamed pass to the Arrow Creek drainage at about five. Unnamed Pass to Arrow Creek from the east - This pass to the Arrow Creek drainage was pretty straightforward on this side. 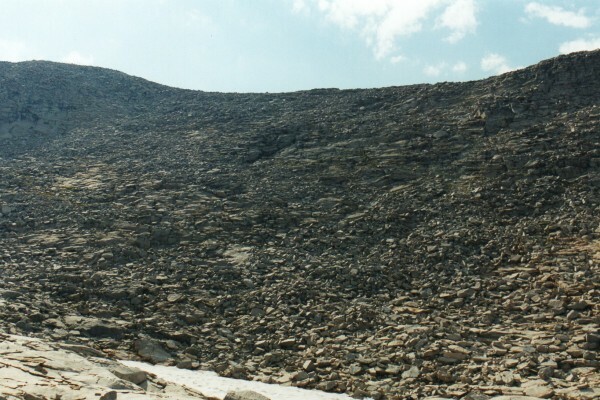 I chose to cross the notch just southwest of Explorer Pass (class 3) because, according to Secor, "The first pass southwest of Explorer Pass is class 2." It may be class 2 on its east side, but the west side is a series of cliffs separated by westward sloping ledges. I was unable to find the class 2 route and ended up lowering my pack with my bear bag line over the highest cliff. (I can see no class 2 routes on the photo, either. Unnamed Pass to Arrow Creek from the west - This pass to the Arrow Creek drainage was pretty hairy on the west side. I spent an hour descending from the top of the pass to the base of the snow. Unless you are comfortable on class 3 routes, it is not a good idea to use this pass. My recommendation: if you are not comfortable with a serious class 3 route, do not consider this pass.) The passage to Arrow Creek valley was an undulating trek over tedious talus, but I managed to reach a good camp spot next to an unnamed lake (10,560+, 3,240+) at about eight that evening. My original plans included bagging Pyramid Peak and Arrow Peak on Wednesday. The previous day's climb had tired me out and clouds were building rapidly, so I decided to skip Pyramid. 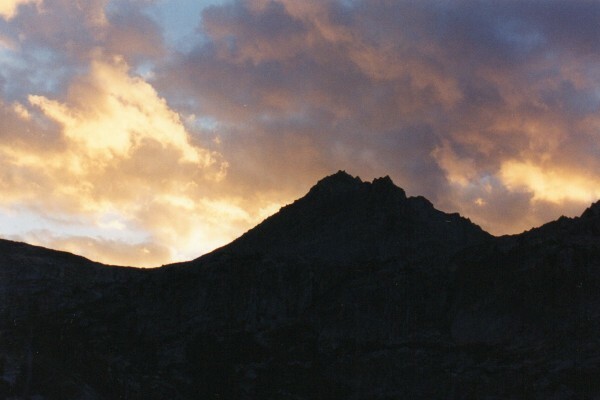 Sunrise in Arrow Creek Canyon - One look at the clouds and I decided not to climb Pyramid Peak. It occured to me that I wouldn't get in more than one peak if the clouds continued to build. I thought of the old addage, "Red sky at night, sailor's delight. Red sky in the morning, sailor's take warning." The ascent to the notch west of Arrow Pass was easy and pleasant. I left my pack at the notch and made for the top, arriving at about 11. The view was spectacular despite the building clouds. There was live entertainment on the summit. Clark's nutcrackers showed off by swooping around the summit blocks. One landed a few feet away as if to boast of his special freedom. A squirrel scolded me from a hundred feet below and wouldn't be quiet until I moved out of his view. I spent an enjoyable half-hour reading entries in the peak log and drinking in the surrounding alpine beauty. For a while, I considered descending toward Bench Lake from the steep pass at the notch just east of Arrow Peak's summit. Since I couldn't quite see the entire route, I contoured around to Arrow Pass instead from where I made my way down to the shallow lake below. Avoiding brush and cliffs were the main priority during the descent. 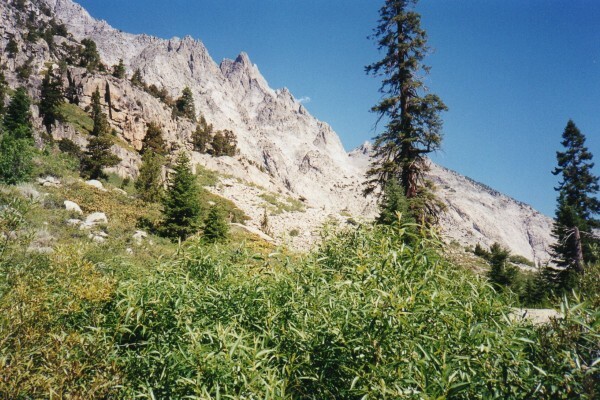 After reaching the valley and crossing the creek, I contoured toward Bench Lake. Here and there I followed fragments of use trails but in quite a few areas the path was blocked by jumbled deadfall. Finally, I arrived at Bench Lake. Taboose Pass from Bench Lake - I wasn't expecting a fine view like this from the west end of Bench Lake. This is one destination that has it all: great scenery, good fishing and good peakbagging nearby. 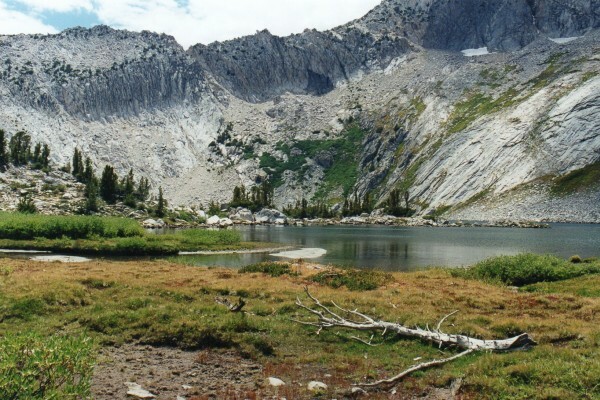 Over the years, Bench Lake had become a destination of legendary proportions to me after having read glowing reports about it in guidebooks and in trip descriptions. I wasn't disappointed by the real thing. As I moved clockwise around the lake, soon I found another hiker. As we were visiting, his partner returned to camp. 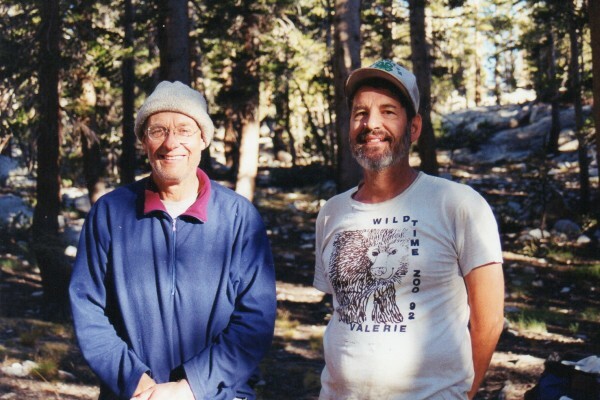 To my surprise, the returning hiker was John Reed, another member of the Sequoia Kings Canyon Hikers Club. John and Bill at Bench Lake camp - I ran into John Reed and his nephew, Adam, at Bench Lake. We teamed up and returned to Cedar Grove via the Muro Blanco route. John and his nephew Adam were on the last leg of a ten-day trip that had taken them over the first section of the High Route. We had a very pleasant visit that evening and John graciously shared delicious, fresh trout he had caught and prepared for dinner. Thursday morning, I quickly packed and mentally prepared for my trip down the South Fork canyon. As we were saying our good-byes, I asked John and Adam if they would consider accompanying me. John said, "No way," while Adam said "Why not?" As soon as Adam and I had convinced John to go Adam started to develop cold feet, but ten minutes later we were packed and ready to go. We headed to the other end of Bench Lake where we took photos of the lake with Arrow Peak in the background. Arrow Peak from Bench Lake - This has to be one of the finest scenes in the entire range. 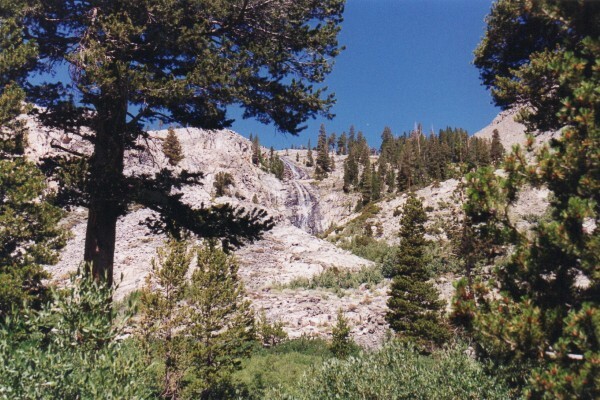 I had planned on continuing to the JMT and descending to the South Fork but John thought it made more sense to descend into the canyon from the lake, so we did. The way down was steep but not too bad and it saved us a considerable amount of time and mileage. After we reached the river, I looked back at the canyon wall we had just come down and realized that we had been lucky to have not been turned back by cliffs. Canyon wall below Bench Lake - The route to the river from Bench Lake looks steep on the map, but if you are careful in choosing a route, cliffs can be avoided. Despite guidebook advice to stay on the west side of the river, we stayed east most of the way that day, following use and game trails. Old packer camp on the South Fork - Adam stands next to the pot holder at an old packer camp on the east side of the river. The camp looked like it hadn't been used in many years. We found a shady spot for lunch next to the river. John and Adam enjoy the fine view at our shady lunch spot on the east side of the river. Occasionally, progress was slowed by brush, especially aspen thickets. Now and then we crossed patches of thorns but as long as we didn't fight or force the brush, the going was smooth. Progress at times was measured in tens or hundreds of yards. The canyon is definitely not a place to worry about speed. Most of the time we focused on finding a path through brush or across talus fans. Our eyes were focused on the ground during most of our trek down the canyon. Brush, talus and great scenery - Lower sections of the Muro Blanco route have brush, talus and great scenery in abundance. Frequent breaks served not only to refresh us, but they gave us a chance to enjoy the spectacular canyon scenery. Finally, we arrived at a fair camp area on the west side of the river near the point where the canyon runs north south. I took a long overdue bath in the river then we enjoyed dinner and a campfire. The next day was the last of my trip but John and Adam had two days to get out. We stayed together on the way down the canyon as long as we could but in the early afternoon it became obvious that we would have to part if I were to make it to the trailhead that evening. I brought water shoes and John and Adam didn't, so I spent much of my time in the river while they stayed high. Walking the river bed - Water shoes come in handy in the lower parts of the canyon. Steep walls and dense vegetation make the river bed one of the easiest routes. 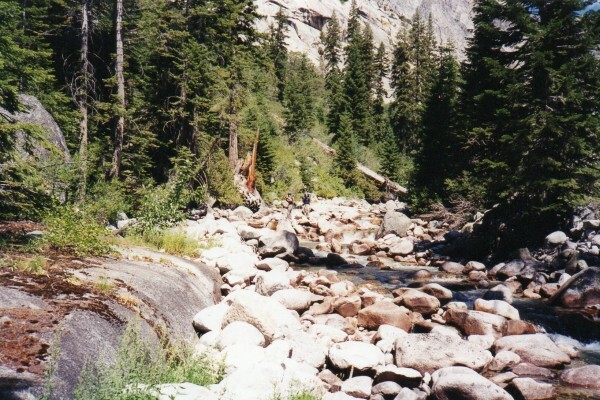 The walls closed in and the river became steeper before the valley opened up to Upper Paradise Valley where Woods Creek joins the South Fork. I kept my water shoes on until I reached Upper Paradise and closed the loop. I ate an early dinner then proceeded down the trail. I met a number of hikers making their way to the various Paradise Valley campgrounds. Black flies were particularly thick below Mist Falls and as I clapped my way down the trail I startled a poor black bear out of its hiding. I managed to reach the trailhead parking lot before total darkness. The brush and thorns of Muro Blanco are significant, but if you don't fight your way through this magnificent canyon, the scenic rewards and the sense of adventure make the trip worthwhile.